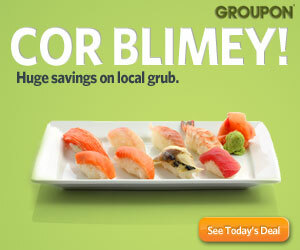 Do not miss another Blue Sea Holidays voucher! 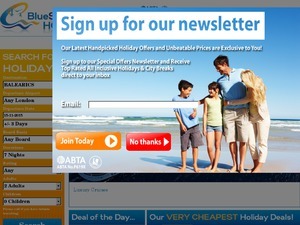 Simply leave your e-mail address and we'll always keep you informed of new vouchers for Blue Sea Holidays. We are running a voucher code now for 5% off all holidays over 100 pounds to Majorca. It's live from today up until bookings made by the 24th June. Offer condition: Summer 2012 bookings for departures between 1st June 2012 and 31st August 2012. Offer condition: Departing from now until the 31st March 2012. Offer condition: Tallin Xmas markets, departures between 27th November and 17th December 2011. Offer condition: Berlin Xmas markets, departures between 18th November and 18th Decmber 2011. Latest voucher code valid at a time of promo publication was entered to be working from 2018-06-26.